The Receiver Drier fitted to car aircon system’s acts as a particle filter, refrigerant storage container and most importantly a moisture absorber. Moisture, temperature and R134a causes hydrofluoric and hydrochloric acid. The silica gel beads also known as desiccant. (Used in window condensation boxes) absorb small quantities of moisture thus preventing acid establishment. Most R134a filter driers have NO sight glass. This is because at approximately 70°C refrigerant temperature the PAG oil will foam giving a false impression of low gas charge. If the Filter Drier Receiver does have a sight glass ensure correct diagnosis when viewing. 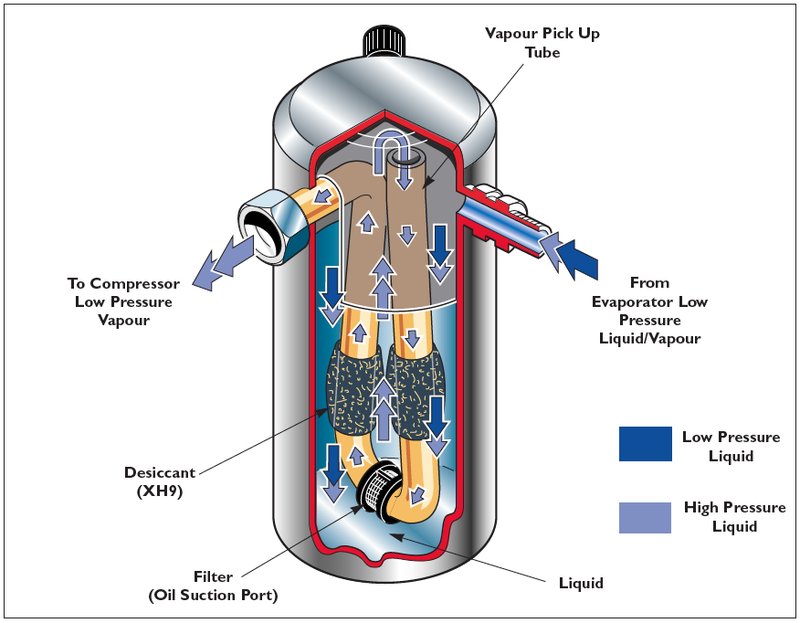 The function of the accumulator is to store refrigerant, filter particles, absorb moisture and separate vapourous R134a from liquid R134a. 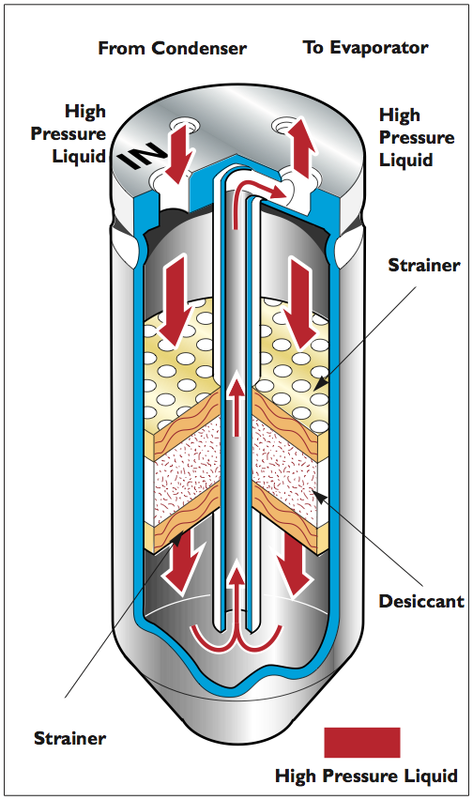 The Normal process of the system works when R134a leaves the evaporator coil as a mixture of vapour and liquid. This liquid enters the accumulator and falls to the bottom. The vapour rises to the top and continues onto the compressor. The liquid R134a in the bottom of the accumulator gradually vaporizes off. This vapour rises, then pulls into the compressor. Picture above of Accumulator fitted to Car Aircon System.